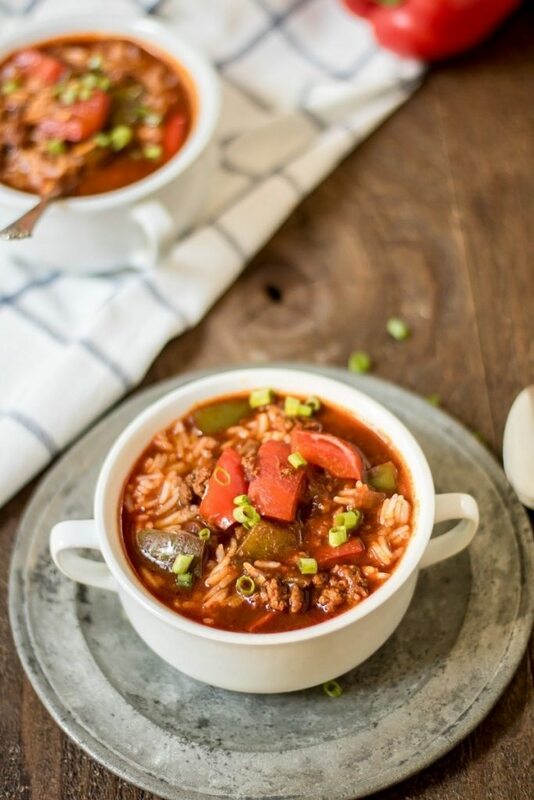 This Weight Watchers Stuffed Pepper Soup is a quick and easy recipe that is perfect for fall. It’s perfect for making in the crockpot or the Instant Pot. Making soup is a great fall and winter tradition in our home. 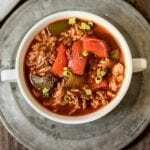 The cooler weather sets in and I start looking for great flavors and recipes that will warm us up from the inside out. Without sacrificing flavor, this light stuffed pepper soup does just that, without all the calories and fat! Using some lightened up ingredients this recipe is great for the Weight Watchers program. For Weight Watchers this is 2 Freestyle Smart Points per serving when using lean ground turkey! There is not better recipe for a Weight Watchers stuffed pepper soup than one that I can make in my Instant Pot. 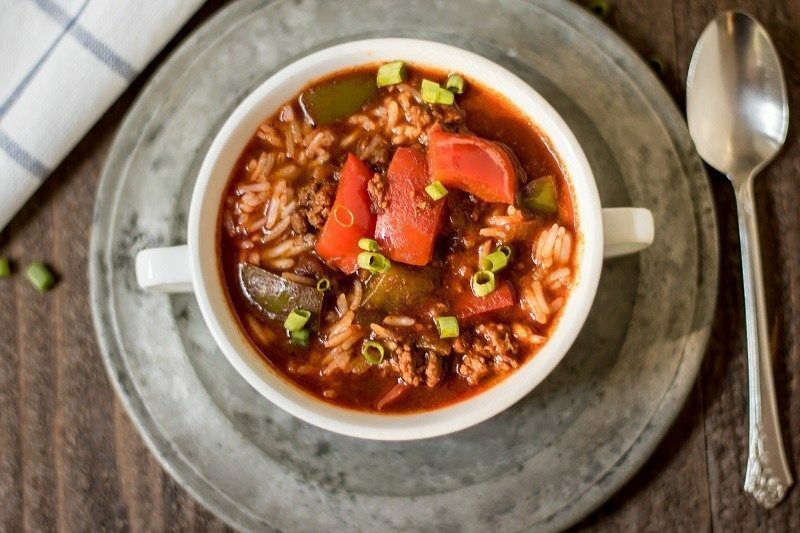 If you prefer to cook in the crockpot, this hearty and delicious recipe will hold up well for that too. I’ve included both sets of directions so you can use whichever method or device you prefer! Brown ground beef with onion in a skillet over medium heat. Drain beef and onions and place in crock pot. Chop peppers, add to crock pot. Add tomatoes (including juice) and remaining ingredients, except rice – which should be added 1 hour before end of cooking. Sauté the meat and onion, then add peppers, tomatoes and tomato sauce, broth, and spices. Cook at high pressure 7 minutes, add cooked rice after. If you decide to use your Instant Pot for this recipe, check out these notes on Instant Pot High Altitude Cooking Times! How do you make easy stuffed pepper soup? This is the easiest way I know to make stuffed pepper soup…in the Instant Pot! How many calories are in homemade stuffed pepper soup? This version of my homemade stuffed pepper soup is about 247 calories a serving. For less than 300 calories you can have a hearty and delicious meal…that’s a win in my book! Not to mention this stuffed pepper soup is Weight Watchers Friendly at less than 3 points per serving! Is stuffed pepper soup gluten free? How do you make the best stuffed green peppers? That depends on what your idea of the ‘best’ is! My idea of the best stuffed green peppers is this soup. It’s simmered and delicious and packed with all of the flavors that I love and expect from a stuffed green pepper recipe! It doesn’t hurt that in my world best is often equal to easy when it comes to meals that the whole family will enjoy. This one covers all the bases! 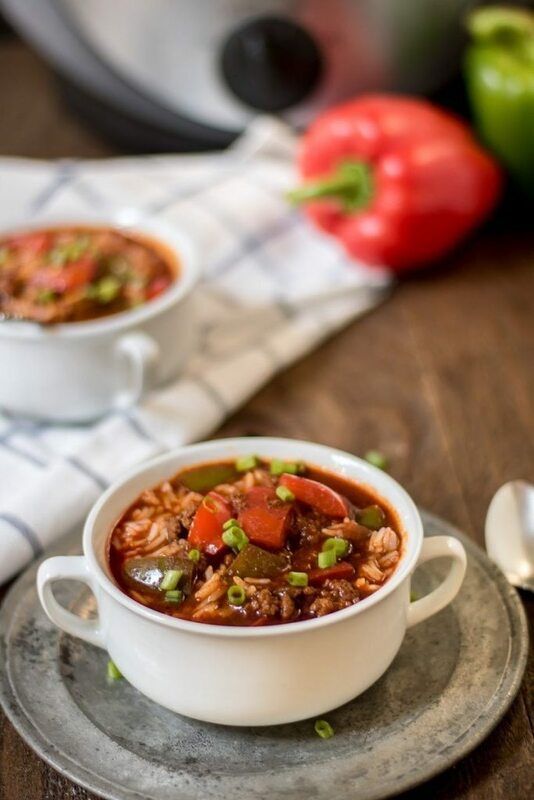 Weight Watchers stuffed pepper soup is a quick and easy recipe that is perfect for fall. 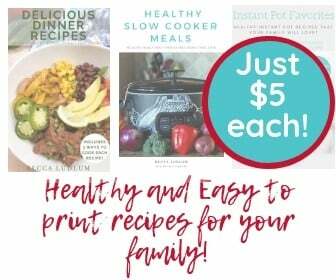 It's perfect for making in the crockpot or the Instant Pot. Instant Pot Adaptation: Saute the meat and onion, then add peppers, tomatoes and tomato sauce, broth, and spices. Cook at high pressure 7 minutes, add cooked rice after. For Weight Watchers this is 2 Freestyle Smart Points per serving when using lean ground turkey! If using the instant pot, do you do a quick pressure release or a natural pressure release? Thank you! You could do either, but I usually do quick!